After 20 years at St. James’ Park, with a cacophony of clapping ringing just for him, Steve Harper began to cry. It was his final game for the club that signed him as an 18-year old in 1993. Born only 20 miles from the stadium, the goalkeeper only ever left Newcastle on loan. It was five years after signing his first contract that Harper finally made his debut, and its circumstance would turn out to be prophetic. A 22-year old Shay Given was clattered by Wimbledon’s Marcus Gayle right before half-time and Ruud Gullit was forced into a change at the break. And there laid the problem. The Independent match report from the game, a 3-1 win for Newcastle, described Harper as “the young goalkeeper,” which wasn’t inaccurate – he was 23 – but he was also 13 months’ Given’s senior. He wasn’t to know it, but Harper was already fated to become a perennial back-up goalkeeper. He would finish his Newcastle career in 2013 as the longest-serving player in the club’s history, but Given would finish his four years earlier in 2009, third in the club’s all-time appearance records (462) and top in the post-war charts. It would take Given to move to the newly-minted Manchester City before the 16-year servant became number one. Coincidentally, it was Joe Kinnear managing the Magpies when a 33-year old Harper moved into the vacant first-choice role, the manager against whom he had made his debut 11 years prior. It was a horrid six months to be thrust into action for, having waited so patiently for so long. Kinnear was taken ill a week later and replaced by Chris Hughton on an interim basis, who in turn made way for Harper’s old teammate Alan Shearer to take the helm and fight a relegation battle they would lose. Relegation to the Championship would provide Harper with what he later described as the “number one” moment in his career and “a tremendous achievement” – the Championship title. Newcastle won the league with 102 points – 11 clear of West Brom – and over the course of the 46 games, none of which Harper missed, he kept 25 clean sheets, conceding the league’s fewest goals at 35, and was rightly named Championship Goalkeeper of the Year. However, over the course of their first season back in the Premier League, his servitude counted for little, slowly being phased back into the role of second choice in favour of the up-and-coming Tim Krul. In a 20-year career, Steve Harper was his club’s number one for just one full season. He retired with 37 on his shirt and applause of appreciation in the 37th minute. Being a second-choice ‘keeper often goes one of two ways: they can either spend practically their entire career in the shadow of their tutor, running them through warm-ups, filling in for early-round cup ties, and going on the occasional emergency loan; or they can become cult heroes for their enduring patience, willingness to fill in, and then, one day, when they’re long written off, their ascent into the starting line-up in their 30s. 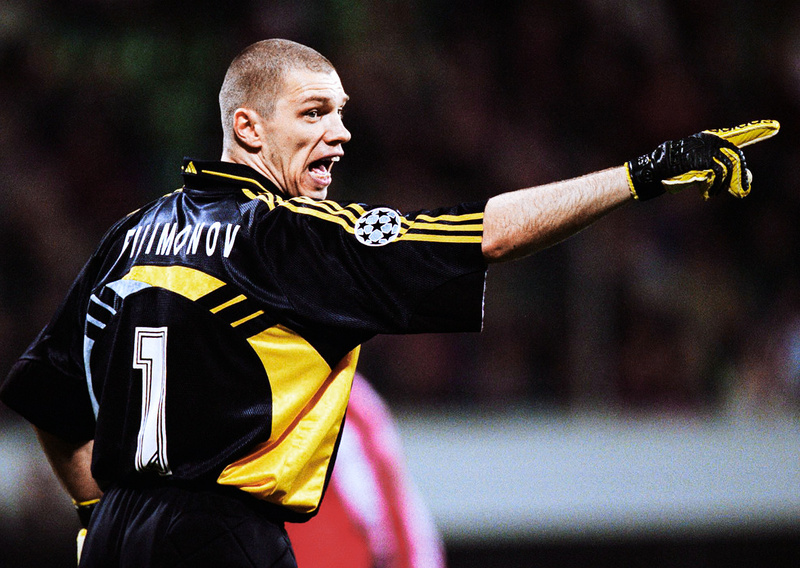 The role of the goalkeeper is unforgiving – even more so for those who find themselves as the eternal reserve. It is unsurprising that the position attracts people with certain characteristics. Take, for example, Che Guevara, who played football throughout his youth and coached the sport as he travelled through Latin America on his motorbike. He was a restless youth and intellect, who then spent the vast majority of his adult life as a number two, constantly learning, before going alone to pass on his experience. As modern football has become ever more relentless since the turn of the century, the role of second-choice goalkeeper has become a vocation for some and less of a labour of love for others. Albert Jorquera is one such instance of the former. His career was so insubstantial that it perversely demands mentioning. He joined Barcelona’s youth team aged 15 and made just seven league appearances in his 15-year stint at the club. At 30 he may have gone on to have six or seven years as a number one elsewhere, and it looked to be the case when he joined Girona. Twelve months later, he retired. Perhaps playing in the second tier wasn’t as fun as training with a Barcelona squad that had won two LaLiga titles, two Supercopas and two Champions League trophies during his time in the Catalan capital. He is far from alone in that particular archetype of a number two, but others have made an art of form of doing it on the move. Alex Manninger was extremely adept – or presumably his agent was – at finding clubs that needed back-up ‘keepers. In his 22-year career, he managed to fit in spells in the Premier League, Serie A, LaLiga and the Bundesliga, as well as the Austrian Bundesliga. 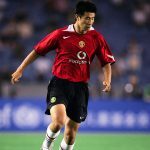 Not only did he manage to spend his entire career in the top flights of Europe’s best, but he did it at clubs including Arsenal, Juventus and Liverpool, where he deputised the likes of David Seaman and Gianluigi Buffon. 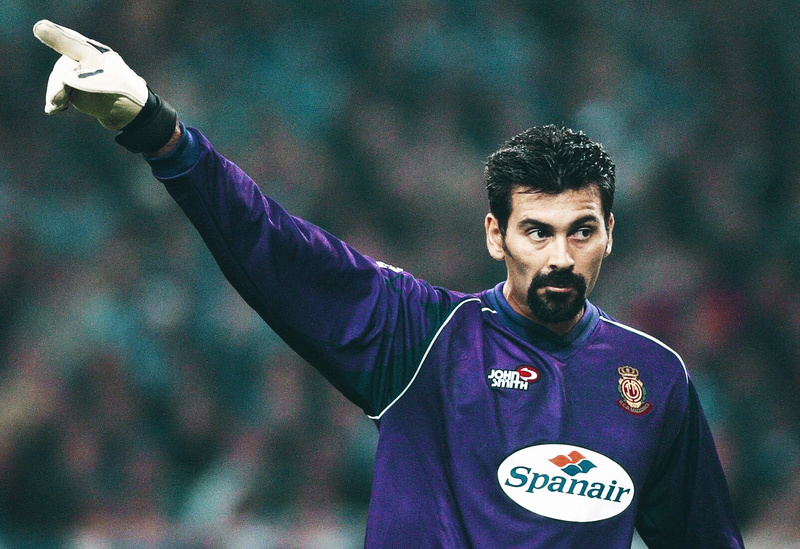 Thirteen clubs in 22 seasons should be the dictionary definition of ‘journeyman goalkeeper.’ He even managed a four-month spell in 2008 in which he was at Siena in June, Red Bull Salzburg in July, Udinese just weeks later, and Juventus come the end of August. For some of the aforementioned players, for whom warming the bench was a labour of love, modern football has been somewhat of a saviour. With most top-tier clubs competing on at least three fronts over the course of a season, topped up by a cocktail of superfluous amounts of money sloshing around at the highest level and more player power than ever, the modern phenomenon of the cup keeper has trickled down. Although it is obviously still a luxury to have two ‘keepers with the ability of Jasper Cillessen and Marc-André ter Stegen at Barcelona, Gianluigi Buffon and Alphonse Areola at Paris Saint-Germain, and Ederson and Claudio Bravo at Manchester City, most teams in the top flights will have reasonable back-ups who have the implicit promise, the unspoken expectation, of being the number one when it comes to the cup competitions. Think Davide Ospina at Arsenal and ter Stegen himself before Bravo left to join Pep Guardiola at City. The practice has been emulated throughout, with it becoming practically a right for second-choice ‘keepers such as John Ruddy, who has enjoyed regular FA Cup football for Wolves this season, an autumnal Petr Čech at Arsenal in the Europa League, and Arijanet Muric, who played every game for Manchester City en route to the League Cup final where he was then superseded by Ederson. Worked it did. Krul dived the right way for all five penalties, saving two. The Netherlands were through to the semi-final, Van Gaal was hailed as a neurotic genius, and Krul was now a certified penalty specialist. It didn’t elevate Krul’s career, however. He continued as Newcastle’s number one for the next two seasons before a series of injuries kept him on the sidelines, and when he was fit, he had lost his hold on the starting spot. It wasn’t until this season that Krul was once again a first-choice goalkeeper, proving his ability between the sticks at promotion-chasing Norwich. Caballero, on the other hand, has long had a reputation as a penalty specialist, and it was that fact, along with his readiness to remain a perpetual and studious deputy in the Premier League for Manchester City and then Chelsea, that has seen him make the genre of cup ‘keeper his own. His making was in the 2016 League Cup final. With the scores tied at 1-1 after 120 minutes, City-Liverpool would have to be decided on penalties. Manuel Pellegrini, who had Caballero as his first choice at Málaga, kept faith in the Argentine as his cup ‘keeper, and it was repaid as he denied Lucas, Philippe Coutinho and Adam Lallana to help his side to a 3-1 shootout win. He would continue his penchant for penalties at Chelsea where he ensured his side progressed past Norwich in an FA Cup third-round replay in 2018, saving the opening spot-kick from Nelson Oliveira. Unfortunately, when Chelsea made the final, Antonio Conte didn’t have the same confidence in his back-up as Pellegrini did, despite playing him in every round until Wembley. Fortunately, it wouldn’t matter as a Hazard penalty in normal time was enough to beat Manchester United. A year later, Caballero would again start as the first choice in the cups for Chelsea, now under the management of Maurizio Sarri. This time, this Italian manager would replace Caballero for Kepa Arrizabalaga from the semi-final onwards. Had he not done so, it could have potentially gone so differently. In the first leg of the semi-final against Tottenham, Kepa brought down Harry Kane in the box and the England striker scored the resulting penalty. Chelsea went on to win the tie over two legs, but Kepa would again be at the heart of penalty-related controversy in the final. They faced Caballero’s former employees at Wembley, three years on from his heroics against Liverpool. With the game goalless in extra-time, a penalty shootout loomed, and it looked as if fate had intervened to ensure that this year Caballero would get his moment in the sun. For the second time in the game, Chelsea’s record-signing goalkeeper had gone down with apparent cramp. The physios were attending to him, Caballero was readying himself just in case, and then Sarri made the decision: Caballero was coming on. What then played out was unprecedented. 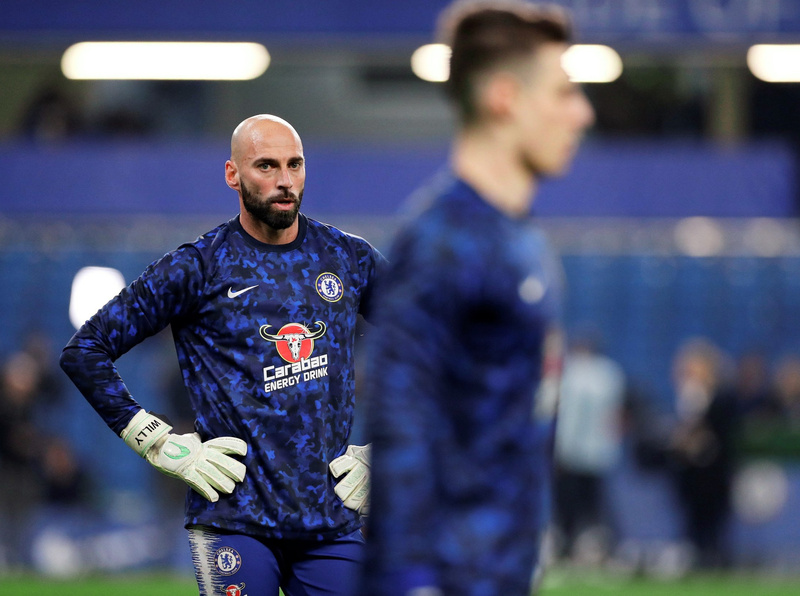 Kepa refused, in front of a Wembley cup final crowd, to be substituted, and Caballero was left in limbo on the touchline as an increasingly irritated Sarri gesticulated himself into an angry spasm. Kepa even winked at the cameras when the full-time whistle went. Kepa could quite easily have saved a lame and lethargic Sergio Agüero penalty, but City went on to win the shootout. Caballero would have not only added his credentials to the occasion, but he would have had a perceived, or otherwise, psychological hold over his former teammates, who would have undoubtedly faced him time and again in training. For his moral decadence and morbid dissent – all bizarrely reimagined in Sarri’s post-match interview and through the official Chelsea website – Kepa was dropped for the next game – but not entirely, taking a place on the bench, which begs the question: what exactly was the point in signing a 38-year old Rob Green? In recent years, the utility of a back-up ‘keeper has taken on another new dimension, that of the quota filler. The prototype of the role was Richard Wright and its innovator Manchester City. In 2010 the Homegrown Player Rule was introduced, and clubs were required to name no more than 17 non-homegrown players in their 25-man Premier League squads from the 2010/11 season onwards. In 2012, Manchester City signed a 35-year old Richard Wright. Out of City’s 25, he was their eighth, and thus compliant-ensuring, Englishman. It was a cynical move that, in respecting the rule, managed to utterly disrespect it. A rule meant to encourage the development of English players was being met by an ageing goalkeeper who had played just three times in the two seasons prior to his move, and whose last Premier League appearance came in November 2006 – the only league appearance he made that season. In four seasons at the Etihad, he failed to make a single appearance, retiring in 2016. For the same reasons, Chelsea signed Rob Green, as did Manchester United with Lee Grant. The man Wright replaced had followed a similar path before joining City but was six years younger when he joined the club and still harboured hopes of becoming a number one somewhere – Stuart Taylor. He made the move following advice from Brad Friedel who endorsed the manager Taylor would be signing for, Mark Hughes. However, after initially deputising for Given, a player he described to the New York Times as “the bionic man”, he found himself behind both Given and Joe Hart, who had returned to the club following a loan at Birmingham City. Seven years later Southampton signed him, but things were explicitly different. By now, Taylor had long been an unwilling reserve; in fact he had even retired a season earlier, and yet it was the honesty with which the club approached him that coaxed him back to the game. “Nobody promised me anything,” he said. “I know my role.” He’d spend two seasons at the club before being released ahead of the 2018/19 campaign. 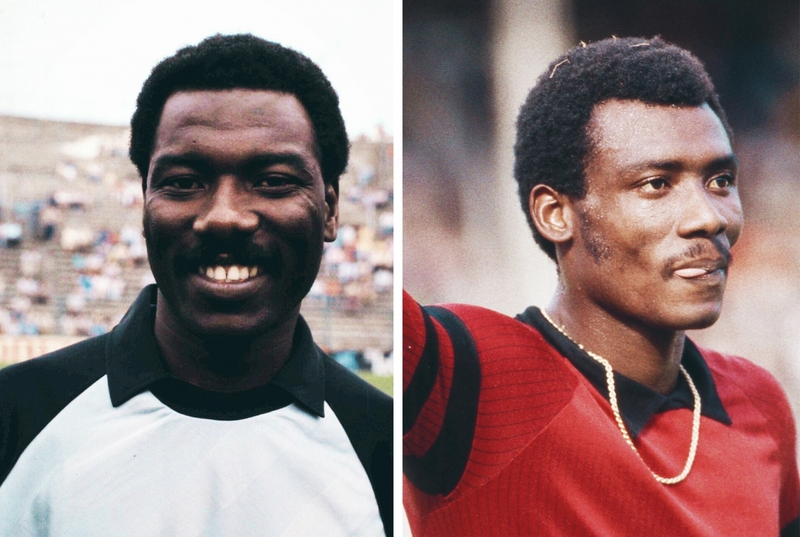 The Goalkeeper’s Union look after their own – they must. Over the years they have suffered some of the cruellest fates the game has offered up: Massimo Taibi’s career in the Premier League was over within four games after that howler against Southampton; Moacyr Barbosa took the blame of an entire nation after he was deemed to have cost Brazil the World Cup in 1950, saying in 2000 that he felt he had been “paying for something” he felt he was “not even responsible for” ever since; and only time will tell if Loris Karius will ever recover from his errors in the 2018 Champions League final. The strange existence of the back-up goalkeeper can exonerate them of the pressures of being the first choice. It can also amplify the risk of being the scapegoat if they are called into action and fail. So often it is both. They are destined to be defined not by their presence, but by the absence of the number one.